The movie Willard came out in 1971. I was fourteen, and saw it four times. It’s a movie about….rats. But the main story is not what drew me in. It was the house. A big, old, fabulous house, featured prominently. I felt intoxicated at all the scenes showing the house, and even though I understood that movies used sets, I sensed that the house in the movie, and the interiors, where not sets but an actual house. The house made a HUGE impression on my young self. At the time I lived in a standard 1950s, 3-bedroom, 1-bath ranch. It was all sheetrock, hollow-core doors, and inexpensive, well, everything. 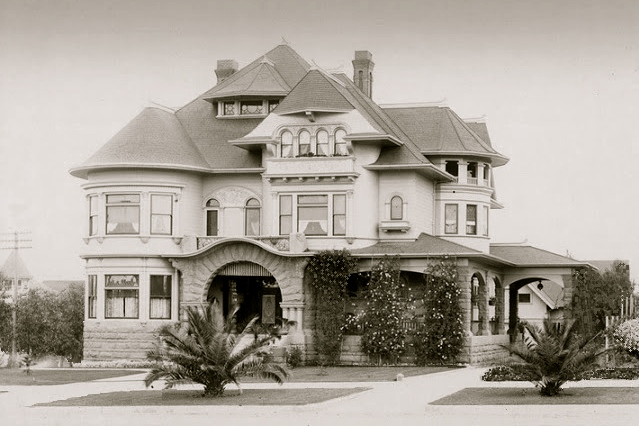 Unlike the house in Willard, the house I lived in had no stained-glass windows, no hard-carved staircase, no servant’s stair, no luscious interior trim, no fireplaces, no stone on the exterior, no towers, and certainly no expansive square footage. I mean, six people lived in my house. With one bathroom. For a long while I wondered: what would it be like to live in such a glorious, high-quality, multi-bathroom house? Well, should it really be a surprise that I would, many decades later, purchase a not too dissimilar house? I had long forgotten about this youthful imprint, but recently recalled it. And through the miracle that is the Internet, I found the so-called Willard house. Recently, the house was featured on one of my favorite blogs, Old House Dreams. It can be yours for a mere $6.5M. In some sort of weird time/space continuum, my 14-year-old self is VERY pleased that my 57-year-old self purchased the Cross House. And the Cross House has seven bathrooms. Hi Ross. I really really really enjoy reading this blog. I always like your comments on Old House Dreams too. You’re a lot like me. I’ve loved the Cross House since I first saw her and hope to make a trip to Emporia some day when it’s finished. I would just love to see her and maybe before if possible. I always appreciate your upbeat comments and positive attitude. I have my eye on a house in Jefferson City, Mo that has been vacant for some years. In the process of contacting the owner. I just hope that she can be mine. It’s a big beautiful Queen Anne with a 3 story turret with balcony and wraparound porch. I just want you to know that you’ve inspired me that I don’t have to be a millionaire to restore her. I know it will take money no doubt, but also some hard work and a little luck too. Thanks for being you! Thank you for the kind words! And you are, of course, always invited for a tour of the Cross House! Oh, do you have a URL link to the Jefferson City house? I would love to see it! However, why not move to Emporia? I could show you some knock-out homes! Good Morning. I don’t have anything on the Jeff City house yet. It is not currently for sale however I’ve been watching for it to go to auction on a tax lien. The owner is of unscrupulous character and to make a long story short, the states attorney general has seized all her assets. I’m in the process of contacting him as well. Have already had a lot of help from the county offices, etc. My daughter and her family live in Columbia, MO so that is the reason I am so focused on this house in Jeff City. Otherwise Emporia sounds like a nice place to be. Thanks for the invite. I am crossing my fingers that your dream house comes true! Is every room in your house going to have a bathroom? About a year ago, I got halfway through a 3d model of the Cross House. I’m just wondering in case I ever want to go back and finish the rendering. You are doing a model of the Cross House???????? Yup. I fell in love with the house when it was for sale and tried to “decorate” it in Indesign. Obviously, it wasn’t very satisfying, so I bought a couple of architecture programs to see what I could do. Last 2013, I spent the entire Thanksgiving weekend working on it. Ross – you are in luck. Price has dropped a million. I notice they didn’t mention the Willard connection. Now you can unload that turkey of a Cross house and buy the REAL house of your dreams. I’m more of an Addams Family house type of guy myself. Awesome blog BTW. I found it as I follow Big Old Houses which referred to Old House Dreams in one of his posts which referred to you in one of their posts. You probably also know about Zach and Old Long Island.